The panels play the role of a load-bearing structure so that no additional load-bearing wooden structure is required. They are produced on a particular project with very high precision in performance. 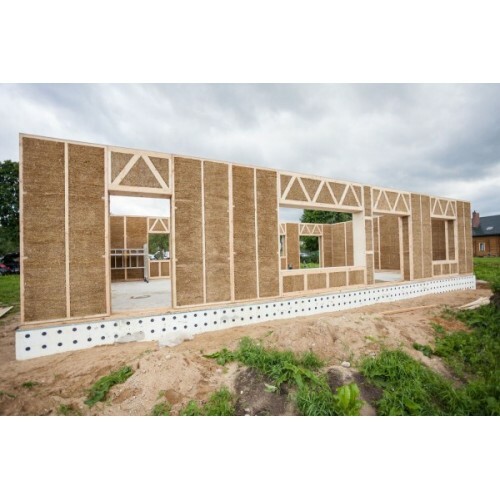 With proper and well-executed details and full project compliance, high energy efficiency combined with good wall moisture and reduced thermal bridges is achieved. 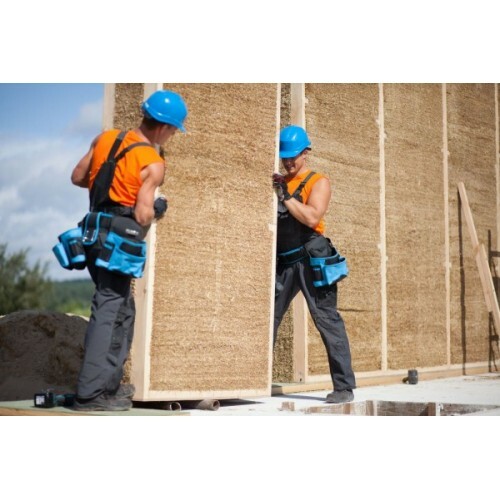 * Specifications: The complete EcoCcon construction system, which is certified and provides 50 years warranty, consists of a 40 cm wide panel, vapor barrier, Steico wood particle board and plaster on both sides (or boarding). The insulation characteristic of the wall has a coefficient of heat transfer U = 0.11 W / m2.k. The building complies with the Passive Building standard and can be certified with tests and PHHP calculations as such.